Some time before late February earlier this year, Garmin removed its Viago navigation app from the Play Store (as well as iTunes). No explanation was given, and no announcement was made - it just went away. The app cost $2 ($0.99 if you got it on sale) and had numerous in-app purchases for expensive map packs and add-on features (ranging from $5-20). 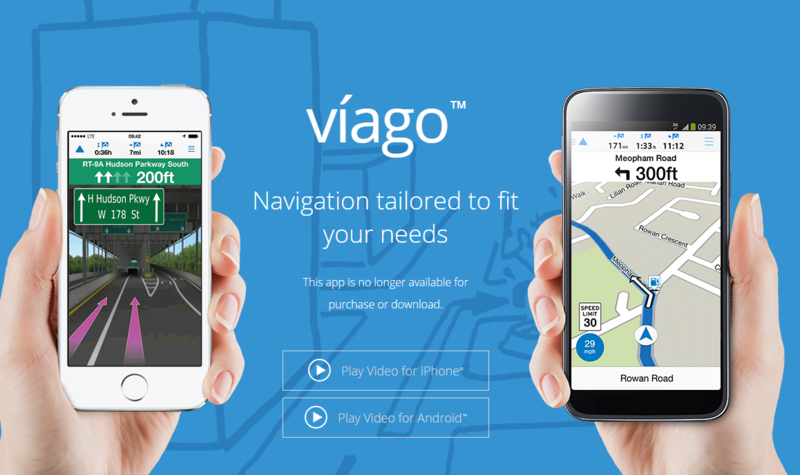 Viago was basically Garmin's attempt to compete with Google, Apple, Waze, and other virtual navigation apps, and it did so using Nokia's HERE map data. Now, this may sound pretty dull (and it kind of is, but wait! ), until you realize just how long Viago had been around: at most, the Viago app was available 8 months before it was discontinued. And they did so with no fanfare - as far as I can tell, the app's demise went totally unnoticed by anyone who wasn't using it, so I'm guessing Garmin didn't really bother actually telling anybody about this little change of plan - owners of the app included. So, why was it discontinued? The obvious answer is that not enough people used it to make Garmin any real money. I'm thinking someone at Garmin might have also realized, "Hey, people pay us not to use their phone GPS - maybe a standalone smartphone navigation app isn't a good move?" Business wise, it's possible Garmin and Nokia HERE had a falling out and licensing or royalty issues forced the app off the Play Store and iTunes, but that's just speculation. The Viago product page now just contains a message stating the app is no longer available. Everyone who paid Garmin money for this app and for upgraded features therein can continue using it (and you can re-download it from the web Play Store if you uninstalled it - just go to your orders), and map data updates will allegedly go on, presumably just with new data from HERE that's downloaded regularly anyway. You can also still buy stuff in the app, which sounds like... a bad idea. As to those who feel they got kind of jilted by Garmin? Well, you did, and it happened a lot more quickly than things like this tend to, so maybe Garmin could just unlock all the app's paid features for current owners in way of an apology. Nah, that'd be too nice.